What is a Zafu and Why Do I Need One? No, a Zafu is not a rare African animal, nor is it the sound of a sneeze in an exotic foreign language. 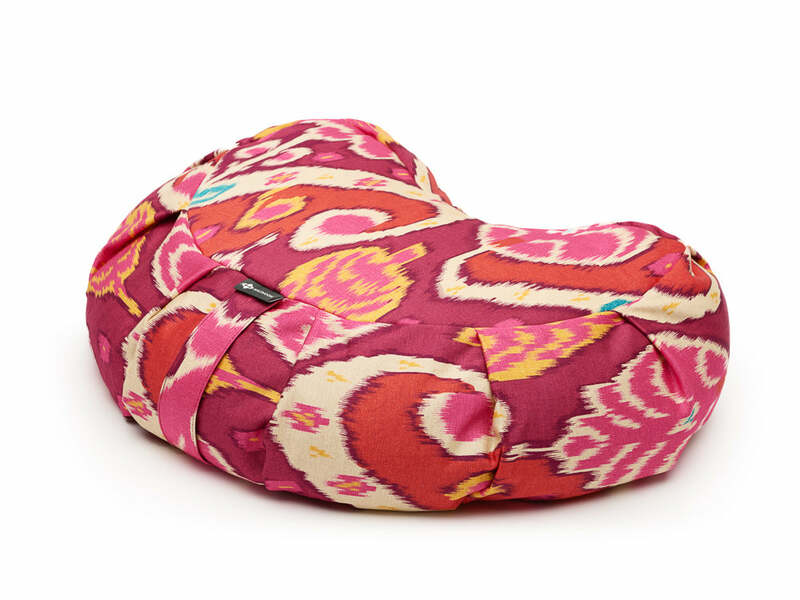 A Zafu is actually a cosy meditation cushion. The word comes from the Japanese, where this crescent-shaped pillow is used for sitting, kneeling and indeed quiet contemplation. The Zafu is used for everything from holding a Lotus posture to providing an extra seat on a Persian carpet. Halfmoon’s Zafu Deluxe enables your pelvis to tilt forwards a bit and makes the spine rise. The result is that you’re sitting up straight, but still relaxed. What could be better for your meditative practice? This inviting pillow of goodness is blessed with organic buckwheat hulls for the right combination of comfort and firmness. The cushion can be manipulated to support your sitting posture and you can remove or add some of the hulls to suit your specific needs. All in all, the Zafu Deluxe is a must for anyone seeking the right gear for holistic living.